As the end of Summer approaches, we know lots of young people and their families are thinking about the start of a new academic year. It can be a preoccupying time for many families, but even more so if you, or your child, has a spinal cord injury. Are you worried about how accessible your university campus will be? Are you excited about your child starting primary school but wondering if they’ll be fully included in class? Whatever the reason, Back Up is here to help. 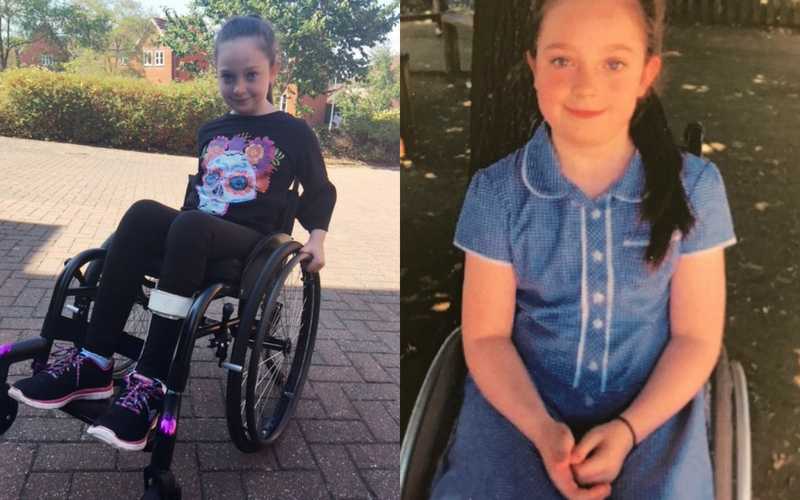 Our education inclusion services support children and young people with a spinal cord injury at all stages of their education – from nursery all the way up to university. One of the young people we supported this year is Leanne*. 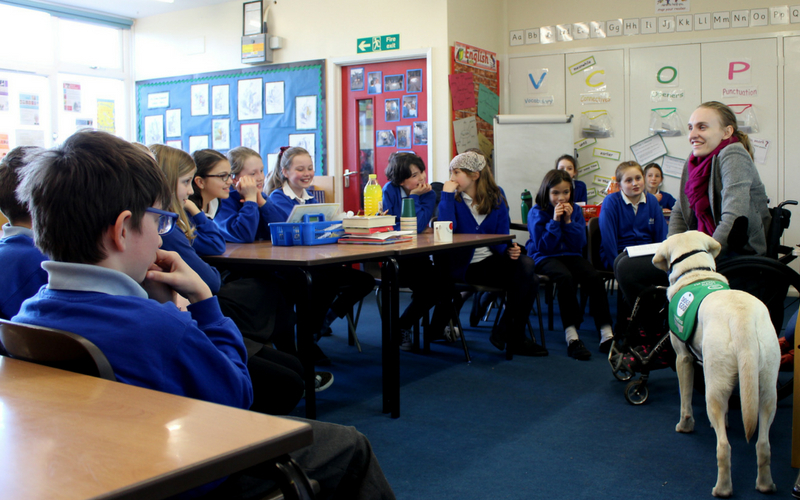 Sharon, one of our volunteer education advocates, visited Leanne’s school to give a presentation to staff and students about life with a spinal cord injury. She helped to show everyone at the school that there was nothing Leanne couldn’t achieve. ‘‘Sharon was lovely. The assembly went really well, and Leanne enjoyed it. Sharon got students involved in the assembly and broke spinal cord injury down. It was helpful for younger ones to understand. The staff found the assembly useful too, and believed it answered a lot of questions the students had about spinal cord injury. The school’s Special Educational Needs Coordinator, Stuart, said: ”It was a really well received assembly. The whole school community was there, and they engaged and participated and had very thoughtful questions. As well as running educational assemblies, Back Up can offer support with access issues, and provide inclusive physical education lesson plans and other practical resources. We’re committed to ensuring that children and young people with a spinal cord injury can fully participate in all aspects of nursery, school, college and university life. If you have any questions or concerns as the new academic year approaches, please contact our Education Inclusion Coordinator, Jo, or visit our children and young people web pages to find out more. *As part of our child safeguarding policy, we sometimes use pseudonyms to protect the identities of the young people we support.